Everyone knows that adding melted cheese to anything makes it 1,000% more delicious. It's just science. Incorporate some carbs into the mix and you're approaching damn near perfection. Fortunately, the folks at Subway understand this, and have fittingly added a special new bread option to the sub chain's menu: Ultimate Cheesy Garlic Bread. Mixing up the standard bread selection, the ubiquitous sandwich chain is offering the new Ultimate Cheesy Garlic Bread as a base option for your 6-inch or footlong. And in case its name isn't descriptive enough to entice you, here's exactly what it is: bread with a creamy garlic butter spread, roasted garlic, and melted parmesan and shredded mozzarella. Yes, it's incredibly indulgent, but hey, 'tis the season. However, it's only around from now until February 27, 2019, so you'll need to stop by in the next couple months if you want to give it a taste. 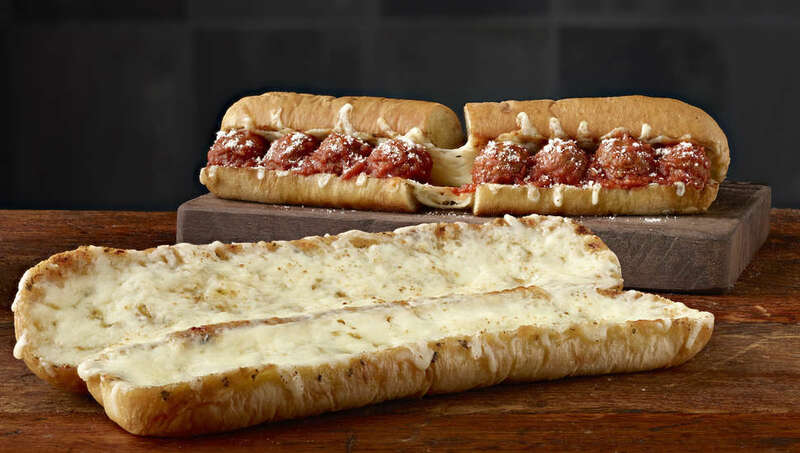 The decadently cheesy bread is available as a base for any of the sub sandwiches on its menu, though the company is specifically touting two special sandwiches that prominently feature it, the Ultimate Meatball Marinara and the Ultimate Spicy Italian a Sandwich. Presumably, you could also just get the bread itself, if that's what you're craving. Let's just say, this sounds a whole lot better than the Whopper's latest cheese innovation.